In partnership with Queensland Theater Company. Perfect to present your ideas. Ortelia Set Designer is made for theatre professionals, students and educators to bring their ideas to life. 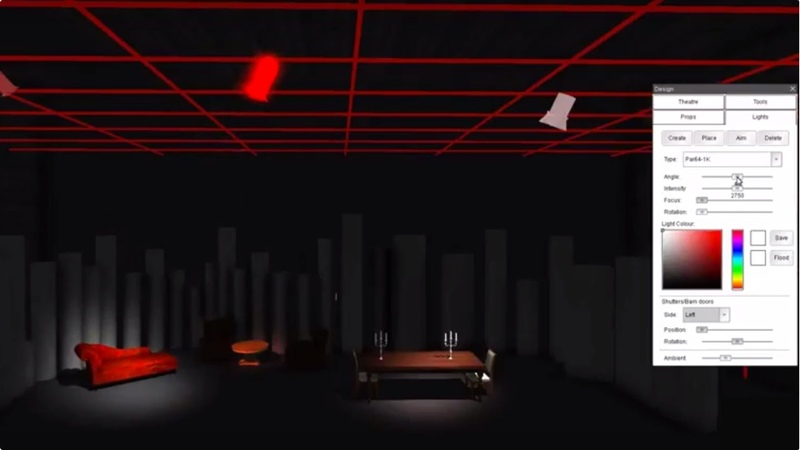 Explore the creation of sets and lighting in an interactive manner. Ortelia Set Designer is your virtual studio for all your design activities. Set Designer is available for Windows computers only. 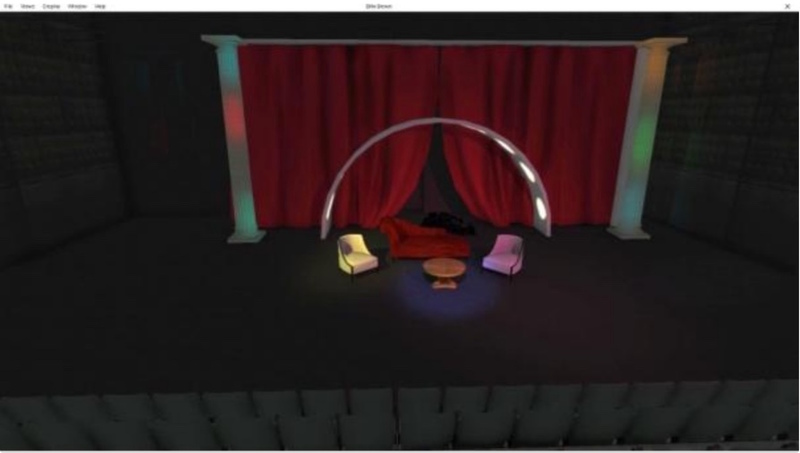 Set Designer allows you to create a 3-D model of your theater set. No CAD skills required. Set Designer is easy to use. Use the pre-loaded default set. 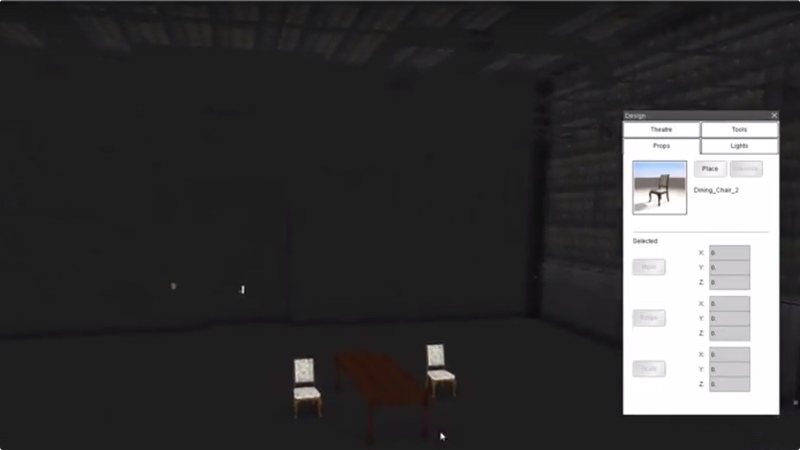 Build your own rudimentary version of theatre space in real-time using “Ortelia Space”. Contact us to build you a custom model of your set for you to then design. Access a large collection of generic built in props in several categories. Currently there are over 50 individual props available. With the Drag and Drop functionality. Full set of adjustable, typical theatre lights like Fresnels, Ellipsoidal, Spots, Zoom Spots and more. Position, aim, shape, colour, control intensity, test shadow cast in real-time. Save and share your set and lighting design. All you need to master set design. Perfect the use of your space. Drag & drop props, lighting and more. Visualise your work. Share ideas. Record actors’ moves and create notations throughout the stage. Ortelia Set Designer is currently unavailable, however we have an all new version coming soon! In the mean time check out Set Designer’s sister product, Ortelia Curator. Note: Prices in Australian dollars.